Our marketplace is filling up with more and more incredible Contrado artists, who are leading the way in innovative and inspirational art. 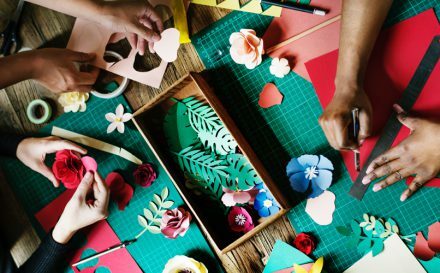 We are so proud of the creatives in our marketplace. Handpicked because of their amazing talent and artistic vision, these creatives continue to impress us with their designs, drive and variety. 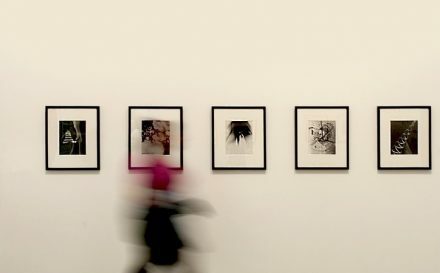 To be a successful artist these days, it is vital that your work is seen. Not only that, it is imperative that it stands out. This can be a challenge in an already saturated market. When we launched our online marketplace for Contrado artists, our vision was to create a place for artists to establish themselves online. To be able to not only sell their work, but turn themselves into a brand. By pushing the boundaries and printing their amazing work on our quality, handmade products, we are able to make something incredible. Our artist platform is growing every week and we could not be prouder of them. With that in mind, it is time to introduce you to 5 more of the Contrado artists. 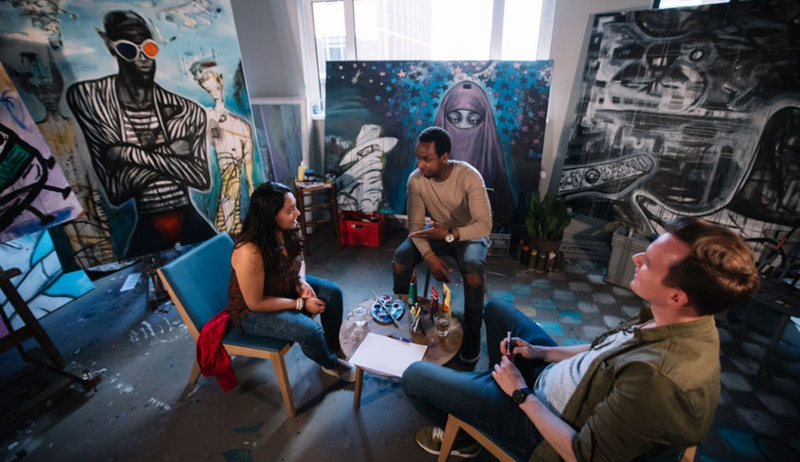 Learn a bit more about them, their art and their inspiration. 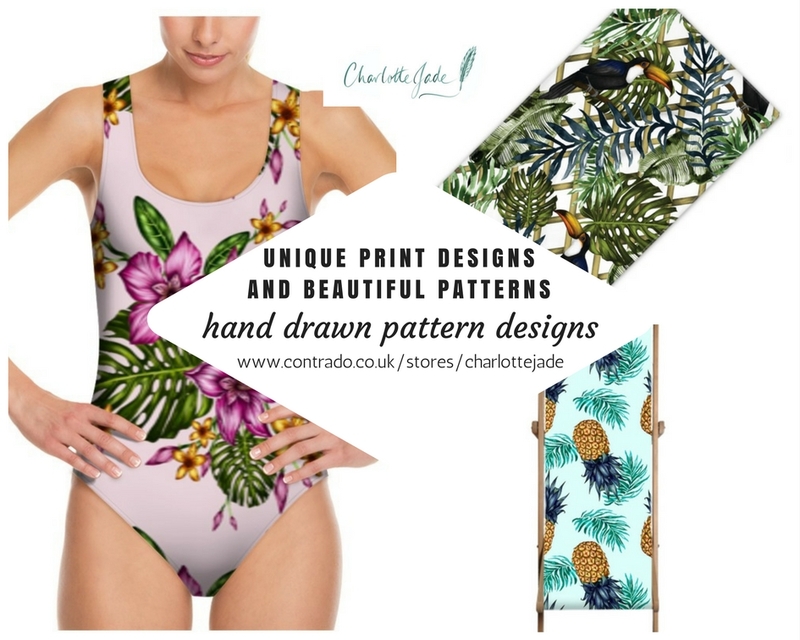 Charlotte Jade is the design brand created by sisters Charlotte and Kate O’Reilly. Based on a combined passion for design, interiors and fashion, the designs of Charlotte Jade are fresh, contemporary and lively. 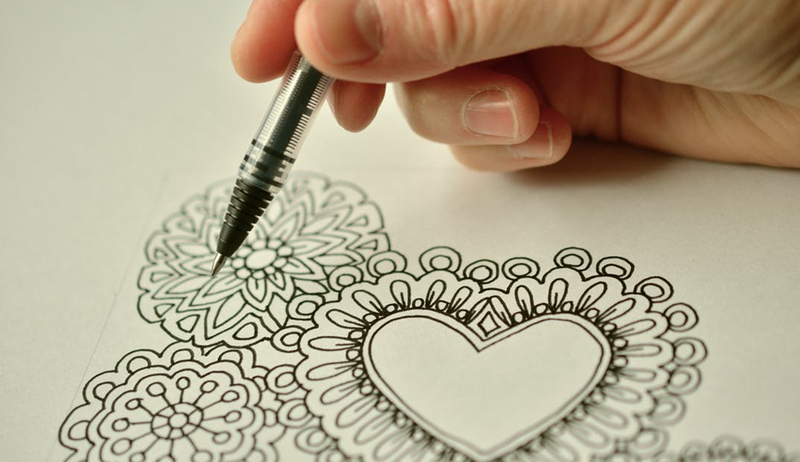 Illustrator Charlotte crafts each beautiful pattern design by hand. Having studied a BA in Illustration, Charlotte was particularly focused on making digital patterns and print designs. These were mainly created for fabric and wallpaper, and her vocation for being a print designer was established. The hand drawn designs capture fine details and textures within the pattern. Vibrant colours make up the energetic palette and influences from nature, wildlife and flowers are the majority of subject matter. Keeping up with the latest trends in fashion pushes Charlotte Jade to a bespoke level of creativity and relevance. The collection for Contrado is truly alive with colour and style. Artist and textile designer Magenta Rose has a distinct and eclectic style, that just begs to be looked at. 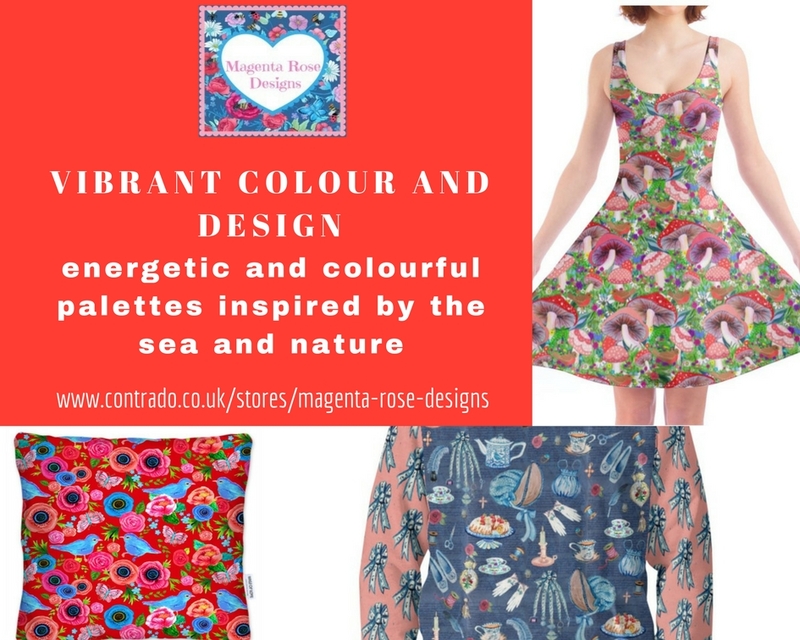 With a varied background, consisting of working as an Architectural Technician, as well as interior design and product and textile design, Magenta Rose is a collection which is sure to bring vibrancy to your life. With a style influenced by retro fashion and boho designs, most of the work created by Magenta Rose is watercolour and gouache with digital influences. 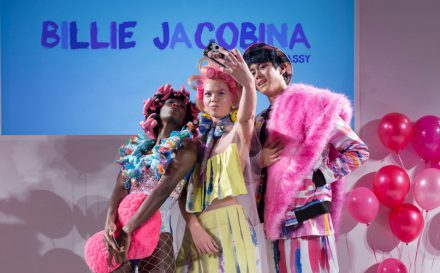 Her designs have developed over the years and the vivacious colour palette and exciting subject matter create a collection that is unique and expressive. Finding inspiration from art deco, animals, history, architectural designs and nature, her Contrado collection is filled with beautiful, feel good pieces. Referring to her style as “abstract ethnic,” designer Nina May has a vibrant, boho chic style that stands out. Creating a variety of hand-crafted tie-dye, watercolour, illustrated and digital patterns, these designs are fashion forward and enticing. Going from a surface pattern and textile designer to a fashion forward textile designer, you can’t help but feel calm and re-energised when looking at Nina’s creations. Influenced by the latest trends in fashion and colour, as well as ethnic textiles and cultural aesthetics. 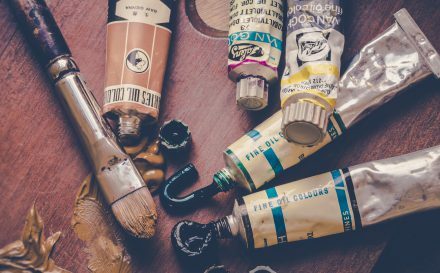 Colour palettes are created first, before a design is created either by hand or on Adobe Illustrator. The designs look perfect on her chosen range of handmade Contrado products. 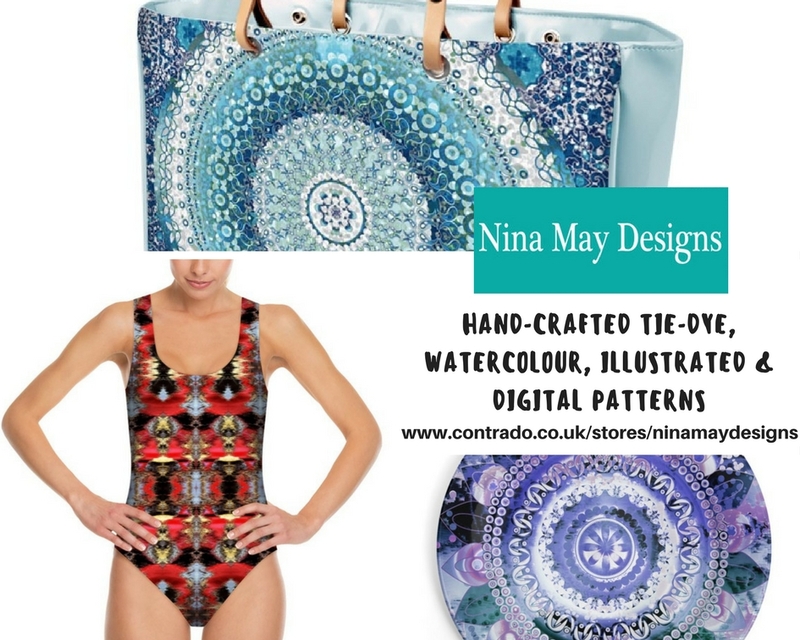 Nina chose to print them on a variety of homeware and fashion, which is ideal for her designs. Illustrator Sam Marsh started his design journey in 2011 when he embarked on an art foundation followed by a BA in Illustration. His design practice ranges from graphic design and illustration to drawing in ink and animation. Occasionally dabbling in pointillism, Sam creates striking compositions that switch between traditional and digital processes. Working with dip or brush pen as well as digital, his work is varied and eclectic. With a broad range of influences ranging from skateboarding, hip hop, heavy metal, ska, rock and reggae, along with science, nature and even ancient history. This is a varied collection that will appeal to many tastes. 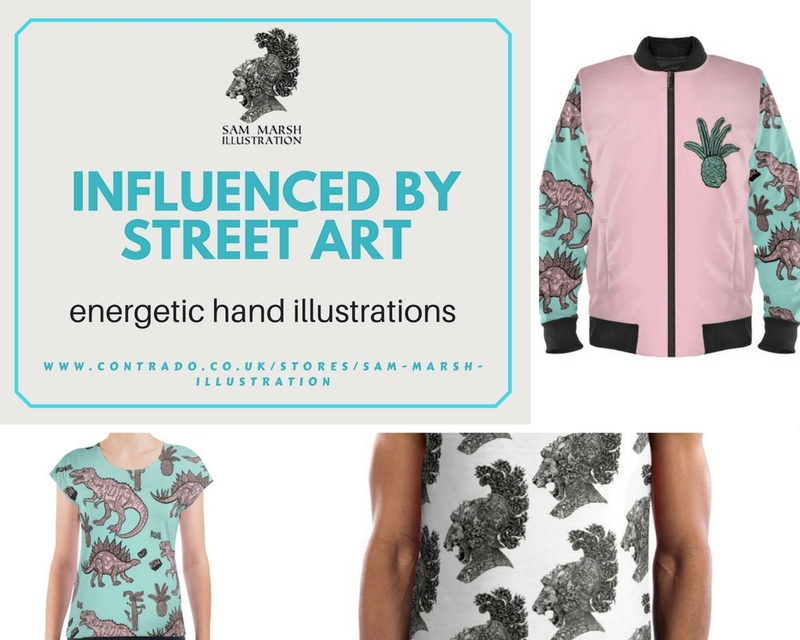 Wearable artwork is what makes up Sam’s Contrado collection, with exciting pieces ranging from vests to bomber jackets. New Zealand artist Maggie Lam is the owner of Tiny Dots. Launching the design brand in 2015 after years of working as a town planner, Tiny Dots has been a dream of Maggie’s for many years. Her work starts with a topic or an influence. Maggie then researches and creates mood boards with the desired colour palette. Finally, lots of sketches are made, which are scanned into her computer and edited into patterns. 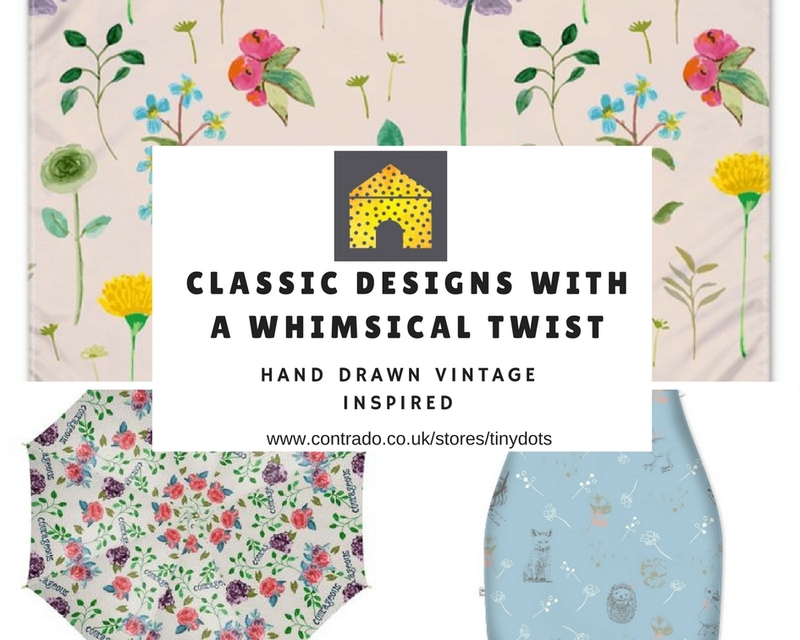 With a style that can be described as whimsical and brimming with vintage inspiration, you can’t help but fall in love with Maggie’s designs. Stunning illustrations and patterns with delicate colour palettes transport you to another time and place. With inspiration coming from nature, animals and historic buildings, Maggie comes from an artistic family, that has influenced her creativity. Have you enjoyed learning more about the Contrado artists? To discover more #ContradoCreatives and maybe even apply to be one yourself, click on the button below. Keep your eye on the blog where we will be meeting even more amazing artistic talent next month. Previous storyWhat is Felt, and why has it been one of the most popular textiles for over 5000 years?